As our roads become busier, all users are more aware of the need to share the space with great care in order to avoid compromising the safety of more vulnerable users, and high visibility mandatory vehicle lighting of course plays a vital role in this process. An increasing level of legislation has contributed to and driven this safety regime; one example of this is the recent modification to ECE Regulation 48. Introduced in November 2017, this requires all manufacturers of vehicles over 9 metres long to fit at least 3 side direction indicators or flashing side markers along the side of the vehicle, and applies to all newly homologated vehicles (trucks, trailers, buses, coaches, etc) presented for type approval. 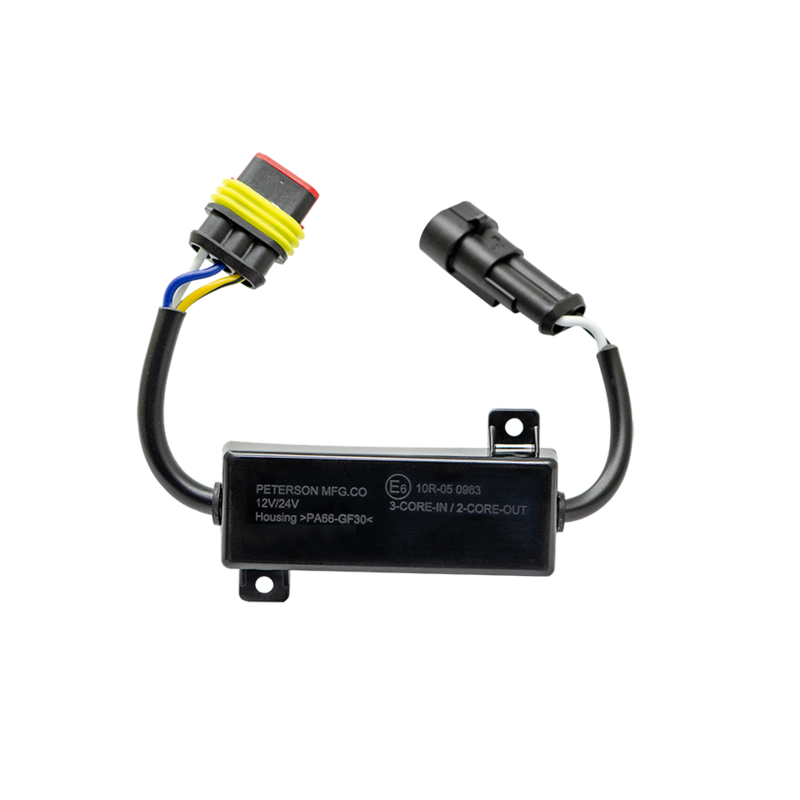 This safety-enhancing requirement is also relevant to the existing vehicle park, and Peterson Europe has introduced a product, the 5001 Side Marker Flasher Control Unit, that is suitable for both original build and aftermarket use, enabling fleet managers to improve safety on existing vehicles. This device enables the side marker string to flash synchronously with the vehicle’s front and rear direction indicators, providing enhanced warning to other road users and pedestrians of an intention to turn. 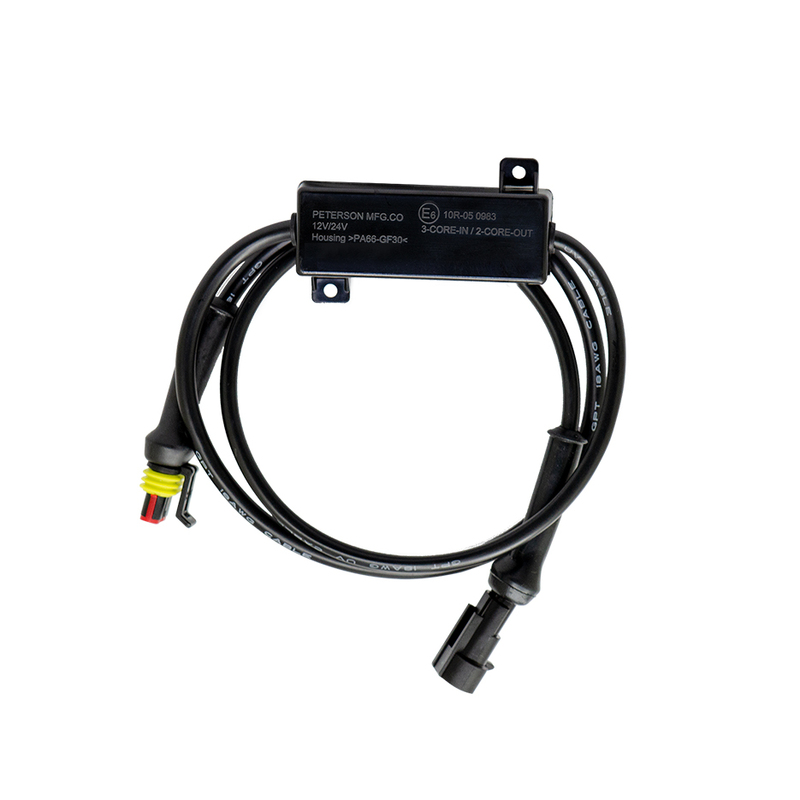 Available in 2 versions, both featuring 10-30Vdc operation and IP67 compliance, and EMC certified, this unit can be fitted simply and securely to the existing vehicle loom at any chosen location in proximity to the direction indicator and side marker feeds. One unit is required for each side of the vehicle. Please contact us for more information on this and other Peterson products.